The interpretation of conventional 2-dimensional mammography is a challenging task due to low sensitivity and low positive predictive value, especially in the dense breast.1 Superimposition of normal breast structures can simulate an abnormality and obscure true lesions. Approved by the FDA in February 2011, breast tomosynthesis is a 3-dimensional imaging method that can reduce or eliminate tissue overlap. In combination with the standard 2-dimensional mammogram, multiple low dose images of a stationary compressed breast are acquired at multiple angles during a short scan sequence. The images are then reconstructed into a series of 1-mm high-resolution slices that can be displayed individually or in a ciné format. The expected benefits from this technique include reduced screening recalls due to tissue superimposition, improved cancer detection and lesion characterization, and more precise localization of diagnosed lesions. A 60-year-old female presents for a routine screening mammogram. There is significant family history of breast cancer (mother and sister). 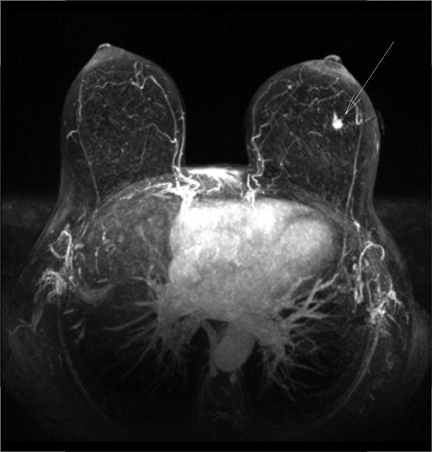 A 2-dimensional mammogram showed an asymmetry in the anterior third of the superior left breast. 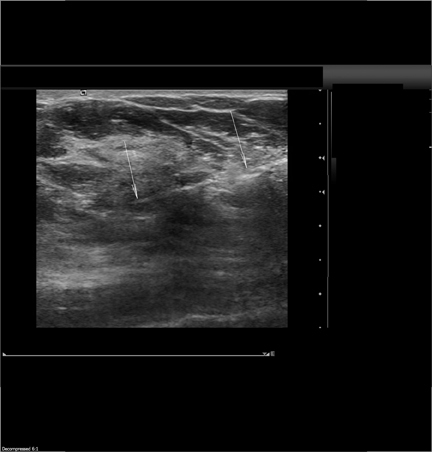 At callback, breast tomosynthesis demonstrates the asymmetry to represent normal superimposed tissue, however, the dataset reveals distortion in the inferior lateral breast that was not apparent on the initial screening study. Ultrasound confirms there is an irregular 1.1-cm shadowing mass. An ultrasound-guided core biopsy confirms the diagnosis of carcinoma. Postbiopsy magnetic resonance imaging (MRI) indicates a solitary breast cancer. The original area of concern was cleared as superimposition on the tomosynthesis exam. The patient is in consultation with her breast surgeon and medical oncologist and is scheduled for a lumpectomy. The 2-dimensional screening study in this high-risk patient failed to image the invasive cancer as it was obscured by the patient’s dense breast pattern. In fact, the need for additional imaging was prompted by normal superimposed breast tissue, which was perceived as an abnormality. 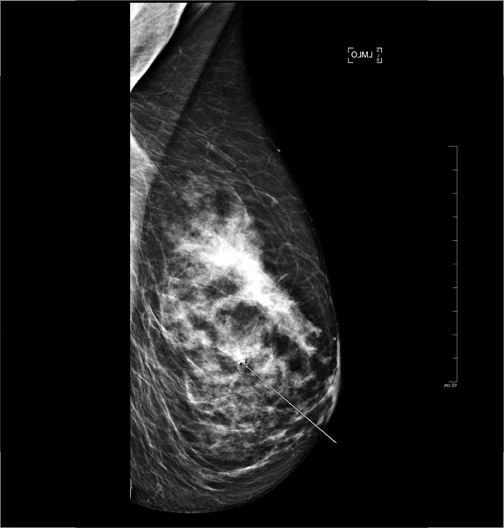 This case illustrates the shortcomings of standard mammography and the potential of 3-dimensional tomosynthesis to significantly reduce screening callback rates and increase our ability to detect early cancers.2 The tomosynthesis dataset revealed a lesion, which was not apparent on the 2-dimensional examination. 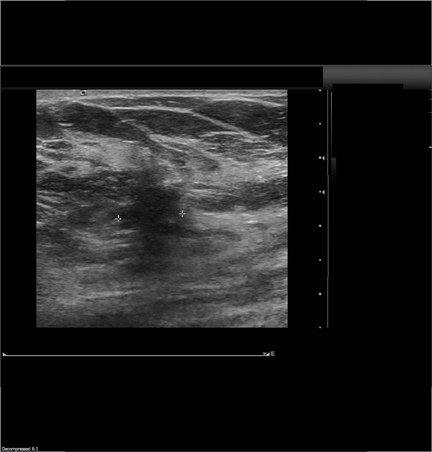 For this patient, the addition of breast tomosynthesis to our imaging protocol led to an ultrasound-guided biopsy and an early diagnosis of a solitary invasive cancer. 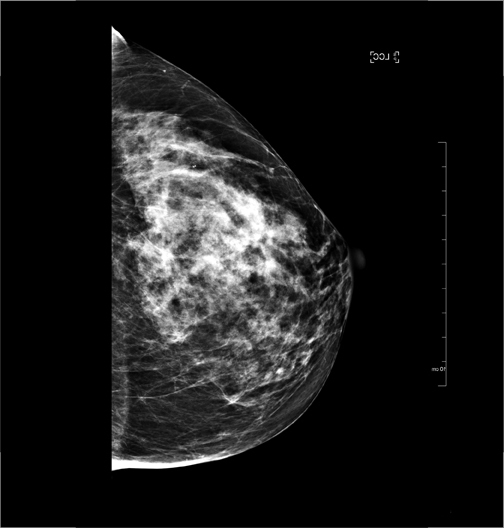 Tomosynthesis is a newly approved technique, which should prove useful in screening and diagnostic mammography. It should especially benefit the estimated 40% of the population with dense breast tissue, who often require additional imaging beyond the current standard of 4 2-dimensional views.3 In our practice, it is offered to all patients, and we anticipate lower callback rates and improved detection of small, early cancers. 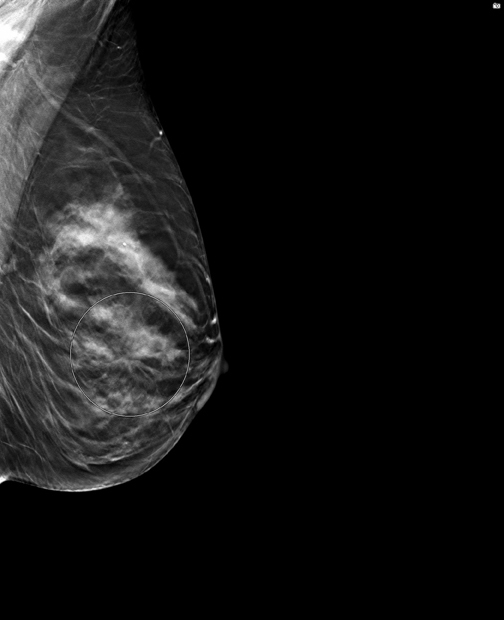 As more clinical studies on the use of tomosynthesis are published and reimbursement is worked out with insurance providers, we anticipate breast tomosynthesis will gain widespread usage in screening mammography. Kolb T, Lichy J, Newhouse J. Comparison of the performance of screening mammography, physical examination and breast ultrasound and evaluation of factors that influence them: An analysis of 27,825 patient evaluations. Radiology. 2002;225:165-175. Park J, Franken Jr E, Garg M, et al. Breast tomosynthesis: Present consideration and future applications. Radiographics. 2007;27:S231-S240. Cole E, Pisano E, Kistner E, et. al. 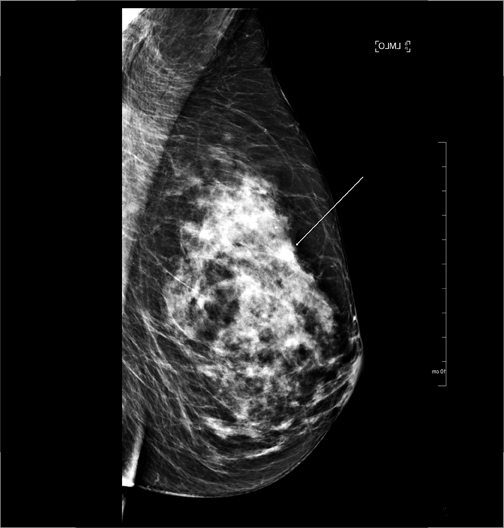 Diagnostic accuracy of digital mammography in patients with dense breasts who underwent problem-solving mammography: Effects of image processing and lesion type. Radiology. 2003:226:153-160. The views and opinions expressed in this clinical case review are the opinions of the author and do not necessarily reflect the views and opinions of the sponsoring company. This article is intended for medical professionals and/or specific product users residing in the United States and other countries and should not be considered as a solicitation or promotion of any product or of an indication of any product that is not authorized by the laws and regulations of another country where the reader resides. This article could refer to products that are or may not be available in any particular country, and/or may not have received market clearance by a governmental regulatory body for indications and restrictions in different countries. 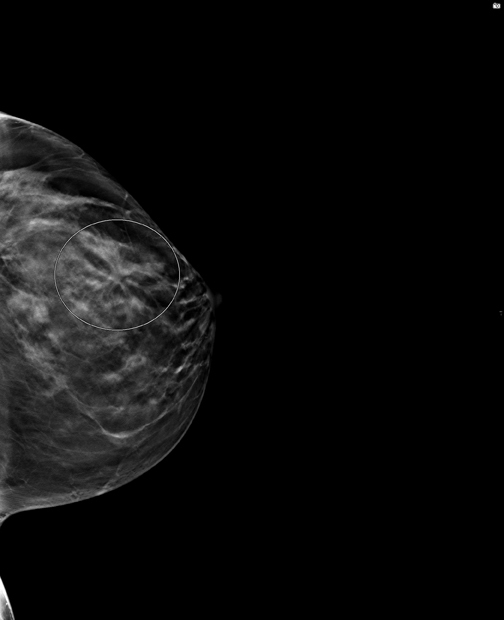 Tomosynthesis clears area of concern but finds cancer not seen in 2D mammogram. Appl Radiol.